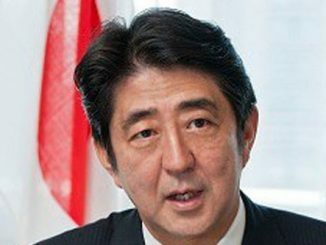 Shinzo Abe and his right wing Liberal Democratic Party (LDP) swept to an outright victory in Japan’s snap General Election at the weekend. His LDP/Komeito Party ruling coalition won over two-thirds – 313 – of the seats in the lower house of the Japanese Parliament. 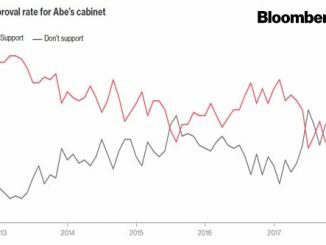 Taken together with the coalition’s existing two-thirds majority in the upper house, the election delivered a ‘super-majority’ for Abe which potentially allows him to take such steps as changing the Japanese constitution without consulting the opposition parties. 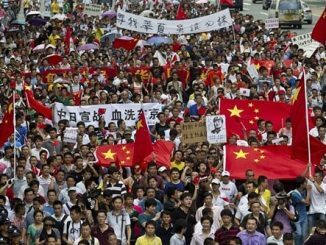 The outcome of the Japanese general election marked a sharp turn to the right in Japanese politics. The poll delivered an overwhelming victory for the Liberal Democratic Party (LDP) and its junior ally the Komitei, following the failure of the Democratic Party (DPJ) to take steps to revive the economy. The recent visits by the leader of the opposition and two members of the Japanese cabinet to the controversial Yasukuni war shrine in Tokyo solidifies a lurch to the nationalist right in Japanese politics.